The Old Trail neighborhood is located in Crozet Virginia, Directly across from Western Albemarle High School. It is surrounded by the Blue Ridge Mountains, Vineyard, Breweries, and restaurants. The neighborhood is home to the Old Trail golf course , ACAC Gym, Coffee Shop, Day Spa, and a few other small boutiques. Old Trail is one of the most loved neighborhoods in Crozet. 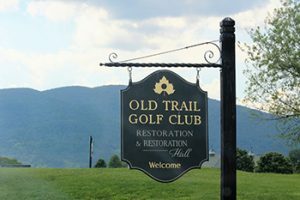 The Old Trail golf course provides golf lessons daily for kids and adults to participate in. This is a neighborhood that will never lose its spark. Old Trail is the perfect place to call home!